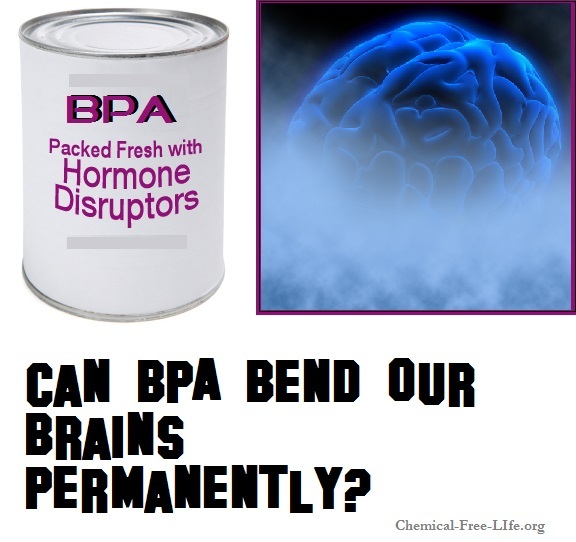 The food additive BPA (Bisphenol-A) is still making an appearance on U.S. store shelves. A recent study we posted indicates that at least 40% of canned food in U.S. grocery stores continue to contain BPA. Among other common places (such as dental fillings and ATM and cash register receipts) the food additive BPA has been used for many years to line the interior of cans containing food as well as plastic bottles for commercial waters and other drinks. Numerous scientific studies indicate that BPA is an endocrine disruptor–in other words, it disrupts and changes our hormonal systems. Now, this latest study indicates the food additive may also mess with our brains–if found to be true in humans, this is a particular concern of the still-developing brains of children. The findings of the study indicate that both behavioral changes and gene expression were altered up to a year following exposure to BPA.